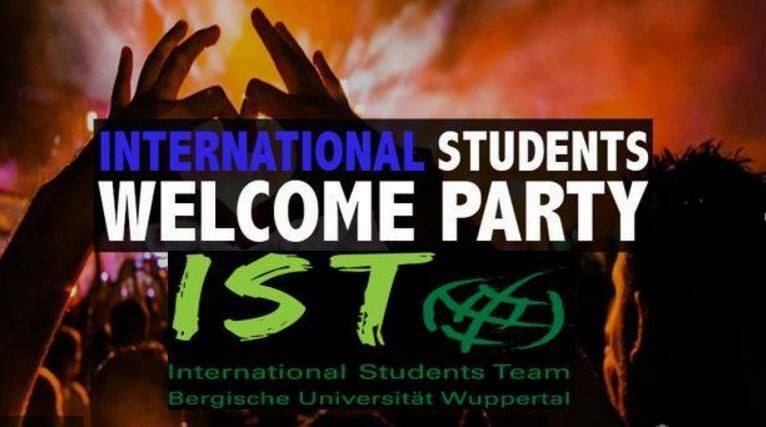 Hey new Erasmus, Internationals, partypeople and friends! The IST-Team says „Herzlich Willkommen“ to all newcomers at our always beautiful sunny Wuppervalley! So, what we gonna do to get to know better each other and to finalize the welcome week in a memorable night? 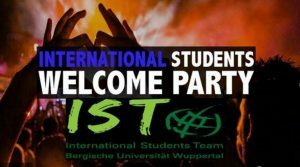 ………….On Saturday, 22/04/2017 — 10:00 p.m……………..
with the best international music ! Of course, the IST-Staff will sell some drinks for little money, but you can also bring your own drinks from home. Sounds good, right?😉 Come on guys! Let´s make party together! Your task is simple: Just save this date, invite your friends and let´s get crazy !! !